Click this link to jump to the full list of winners, or watch the ceremony for yourself at the video embedded below. 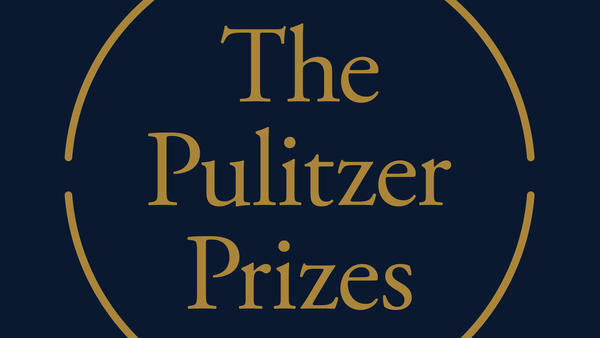 In comments to Poynter before the ceremony, Canedy signaled that she and the rest of the 18-member Pulitzer Prize Board (one of whom is Nancy Barnes, NPR's senior vice president for news) would be keeping the country's fraught political landscape in mind when selecting this year's winners. "There was so much extraordinary work submitted," Canedy said, "even in a year when journalism is yet again under relentless assault, including from the highest office in the land, and when the security threats remain high for journalists simply seeking to do their jobs." This year, Canedy deviated from the usual plan in order to honor two more recipients. The Pulitzer board recognized the staff of the Capital Gazette in Annapolis, Md., which suffered a gunman's deadly attack last year. Along with the honor, the staff of the paper is receiving a $100,000 bequest to support its work. The board also made an addition to the usual roster of categories in the fields of arts and letters, honoring the late Aretha Franklin for her decades-long career and vast influence.